My kids like to read a lot of books. We mostly borrow books from the library as it is 5 minute bike ride from our house. 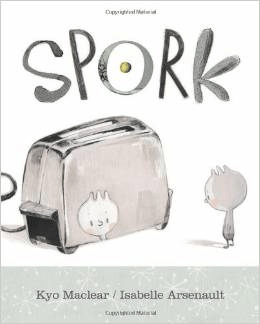 Because we have so many books in our house in any given day, I was inspired to put together a list of 6 food-related books that both my children enjoyed reading. They will turn 3 and 6 years old respectively this year in June. 1. 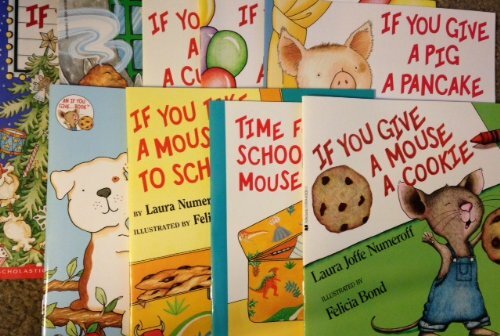 “If you give…” is a cute and sweet serie of books written by Laura J. Numeroff and illustrated by Felicia Bond. Each book story starts with the title words and is circular, ending by bringing the reader back to the start of the book. We have all the books from this series. I think the first time we read one the books from this series was last year when my son was 4 1/2. Needless to say, he loved it and we read it many, many times. We got the other books from this series from his school book club. They were all a big success with my son. The pictures are simple, but rich in details. I like how in each story one thing leads to another which can stimulate imaginative thinking and help children think about what can happen next. The books are geared for children 4-8 years old, but my daughter has found them interesting since she was almost 2 years old. These books would make a great gift, especially if you add homemade cookies, muffins, etc to the gift. 2. 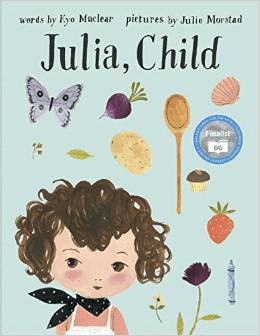 “Julia, child” written by Kyo Maclear and illustrated by Julie Morstad. The book, inspired by the spirit and life of the famous Julia Child, is about two little girls, Julia and Simca, who set on a cooking adventure. They shop, cook, make mistakes, and have fun together. But the book is about more than t the friendship of these two little girls. It is a book with a beautiful message. It is a book about the grown-ups who forget to stop and smell the roses and who have too many things on their plates and on their minds. About the grown-ups who forgot they were children once. It is a book that reminds us to do just that: stop and smell the roses and enjoy what we have. The cover doubles as a poster that would work well in a little girl’s bedroom. The book is a wonderful read with chic, sweet pictures for children 4 years and up. But I think it is a book that can inspire readers of all ages. Because we liked the book so much, we requested from the library all the children books that Kyo Maclear wrote so far (see another one mentioned below). The book includes cute drawings of a wide variety of foods and animals. It talks about colors and the foods and objects that have those particular colors. It has gatefold pages that each asks a question whose answer can be discovered upon unfolding each page. It is a fun book that children 2 and up would enjoy. My son loved reading this book over and over again when he was 4 ½ years old. However, I think this board book would appeal to children 2-5 years old. We just discovered it when my son was 4 ½. 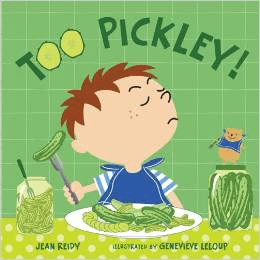 It is a fun book about a little picky eater who, even if he is hungry, does not want to eat anything that is offered to him as he finds a reason to reject each food (too pickley, too squishy, too fishy, etc.). In the end, he finds something that he enjoys eating and all is good. There are two sister books named “Too purpley” and “Too princessy” written by the same author. They are not food-related, but are also cute and fun for young children. On the surface, the book is about manners at the table. However, similar to Kyo Maclear’s other books, it has a deeper message. It shows that everybody is special, they fit somewhere, and they have a purpose. All it takes is to find out where and what. I chose to read this book with my children because I am a Romanian that lives in Canada. My husband’s parents are an English and a German that met in Canada where my husband was born. My kids have Romanian, English, and German heritage, and were born in Canada. Who knows where their lives will take them? I think it is important to help our children understand and appreciate where they are coming from as it is part of their heritage and culture. The book celebrates various backgrounds. Spork is a little bit of a spoon (taken from his mother spoon) and a little bit of a fork (taken from his father fork). It seems that he does not fit anywhere at the table. Until one day when “this messy thing” (a baby) arrives and is a perfect match for Spork. The illustrations of the book are simple and expressive and my son (5 ½ years old) could not put this book down. 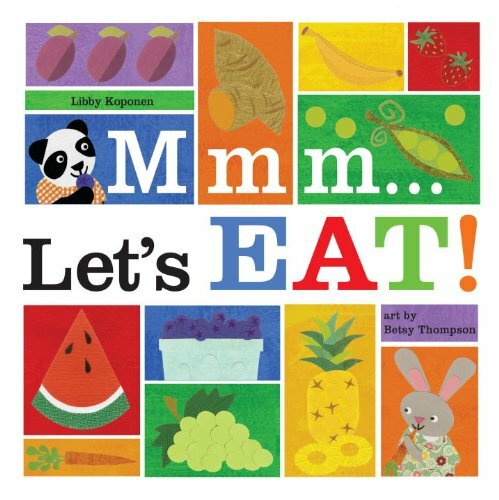 This is a board book that teaches about foods and their colors. Each two pages are dedicated to a color and the foods that have that particular color. 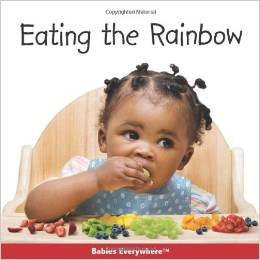 The book also features babies who hold or eat yummy, real foods like bananas, grapes, etc. The book is brightly colored and the real life photos of the foods are very attractive. Even if the title has the word “rainbow”, the color blue is missing from the book. Also, some processed cereal snuck in among the brown foods. But I like the fact that the author goes beyond the basic foods that a young child might recognize and presents litchi (lychee), eggplant, guava, figs. This book is great for children younger than 3 years old. What about you and your family? What food-related books did you read and enjoy recently?